Bend starter Gary Ross explained his strategy on the mound to The Bend Bulletin in June 1990. His strategy included challenging the hitters, rather than striking them out, he told The Bulletin after he went seven and gave up three earned in his first start of the year. "I just try to get ground balls," Ross told The Bulletin. "I just lay it in there and try to make them hit it on the ground." Ross ended up laying it in there over three pro seasons. He made single-A, but he didn't make it higher. Ross' career began in 1989, taken by the Athletics in the 50th round of the draft out of Grossmont College in California. He graduated high school from San Dieguito High in Encinitas. He threw a two-hitter there in an April 1987 game, according to The Los Angeles Times. The Times also noted that Ross is the son of former major leaguer Gary Ross. At Grossmont, Ross picked up a February 1988 win as he went eight innings and gave up three earned. 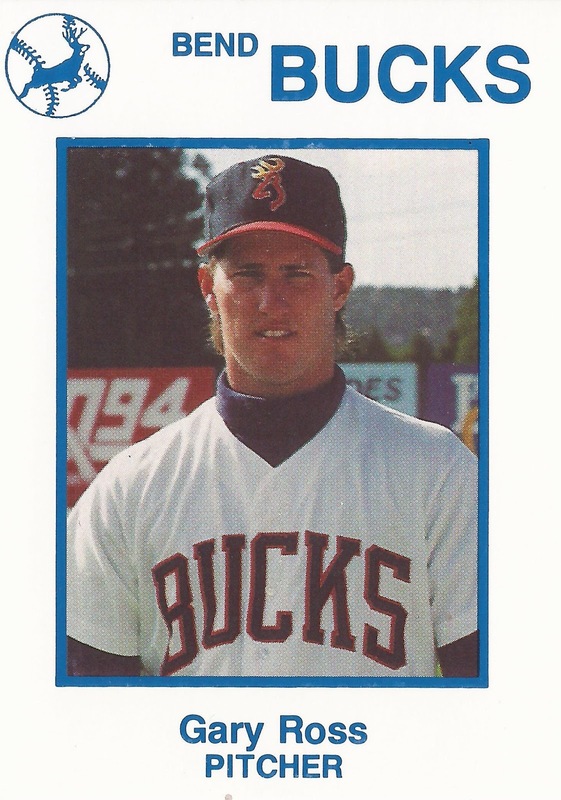 The younger Ross started with the Athletics in the rookie Arizona League. He got into three games, starting two. He gave up five earned in five innings of work. He then moved to co-op, short-season Bend in 1990. He went 5-7 there, with a 5.61 ERA. He then played 1991 at single-A Madison. He got into 10 games, all in relief. He gave up 24 earned runs in just 15.1 innings of work to end his career.